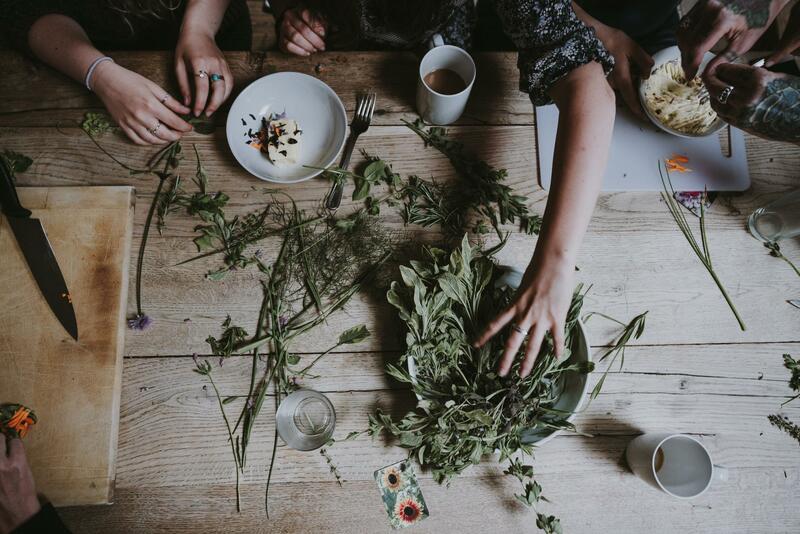 Our introduction herbal classes are open to all, from curious beginners to budding herbalist's and blooming healers! The field of herbalism is as wide as the world that we live in. Every corner of the earth that humans inhabit nurtures its own traditions and practice of herbal medicine. For someone new to herbalism, this can be intimidating. Where do you begin? How do you choose the herbs or the tradition that's right for you? What is the difference between a tincture and an elixir? We will explore all this and more in Herbalism 101, an introduction meant to demystify this ancient practice and help you to confidently set off on your herbal journey. We'll learn about different schools of herbalism and the various types of remedies. We will discuss the basic tenets of working with plants and practice connecting with plants using our intuitive wisdom. You will leave class with new perspectives on the world of herbalism and a sense of empowerment for your herbal journey. Herbal tea and an informative handout will be provided. Amanda is the founder and herbalist of Locust Light Farm in Titusville, NJ. She spends her days nurturing plants in her Apothecary Garden and the evenings sharing their medicine with others via classes and workshops. Amanda has studied with Lupo Passero (Twin Star Herbal Education, CT) and Tammi Sweet (Heartstone Center for Earth Essentials) and is currently studying clinical herbalism with David Winston. Amanda approaches plants from a place of empathy and believes that true herbal magic lies in a relationship of mutual respect between plants and people. The Alchemist's Kitchen is a retail outpost at Stockton Market in Stockton, New Jersey offering a distinctive curation of artisanal herbal remedies, plant alchemy CBD and a seasonal calendar of classes and events on health and wellness.